It’s ironic how a movie that includes the word “Playbook” won the Blackberry People’s Choice Award, at the 2012 Toronto International Film Festival. Blackberry has been suffering and this win runs parallel to the launch of Blackberry’s 4G LTE Playbook launch. I believe we have a subliminal message that we will see the rise of Blackberry once again. Yes, this is a joke about the irony of the situation but I have to say Blackberry has been and always will be my mobile of choice. In my last post, I spoke about taking my brand new 4G LTE Playbook to the Toronto Film Festival. I have to say that it came in handy and I used it all weekend. Check out Will Smith on the Red Carpet. Will this guy ever look old? Keep in mind that I was holding the Playbook above my head to get this video, the only thing lacking was the zoom. I wish it had a zoom for the video component. Aside from that, the picture quality is phenomenal. I took more videos over the weekend but the videographer neglected to inform me that my hair looked like I was something off of the Muppet Show. I refuse to post them. 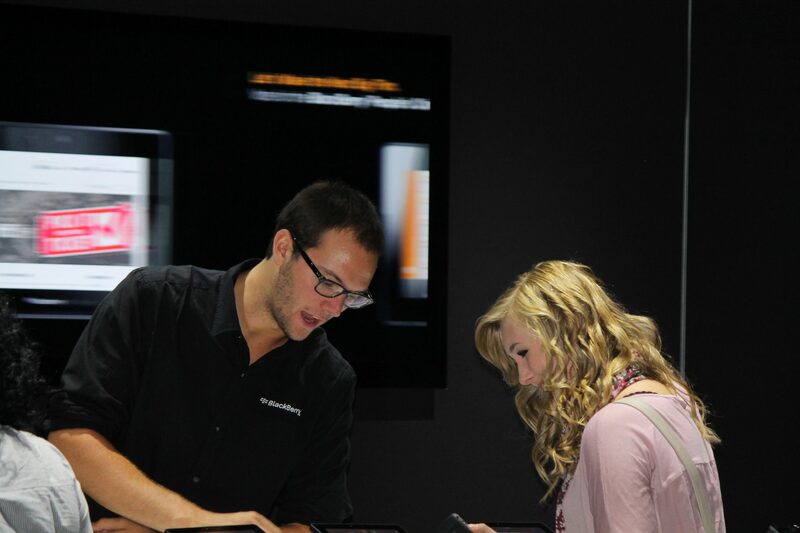 The Blackberry Experience Center was a cool place to visit during TIFF to learn about the new Playbook 4G LTE. Their knowledgeable staff were resourceful and super fun. We entered the FourSquare contests over the weekend and made many pitstops just to “chat”. During one of my chat sessions, I learned all about NFC tags and how they can be utilized in business. Near-field communication is a technology with a corresponding set of industry standards that allows two objects in close proximity to wirelessly exchange information via radio waves. NFC chips, found in newer phones, can read and transmit data. Plus, NFC tags can be encoded with static information to be read by NFC-enabled devices. Payments are just one application of the technology. MasterCard and Intel just partnered to bring NFC to laptops. I didn’t have this capability on my Blackberry 9800, so I played around with their phones instead. I have so many marketing ideas for this technology. It’s not hard to see that I’m a true advocate of Blackberry. Blackberry was so kind to me over the past 10 days. They provided me with a new Blackberry 4G Playbook, 3 sets of tickets to TIFF Films (Anna Karenina, Venus and Serena, and Imogene), and they couldn’t make it two without three! The other day, I arrived home from the screening of Venus and Serena to find a box sitting on my table. I opened it up to find a Blackberry 9900! I was in complete shock. How could a company be so kind and generous to one of their advocates? I absolutely love my Blackberry 9900. It’s so easy and smooth to type on. I can honestly attest that they chose the right person as I chose a long time ago to #BeBold and weather the storm with them. AND I’m also one of the biggest TIFF advocates in the Tri-City region. 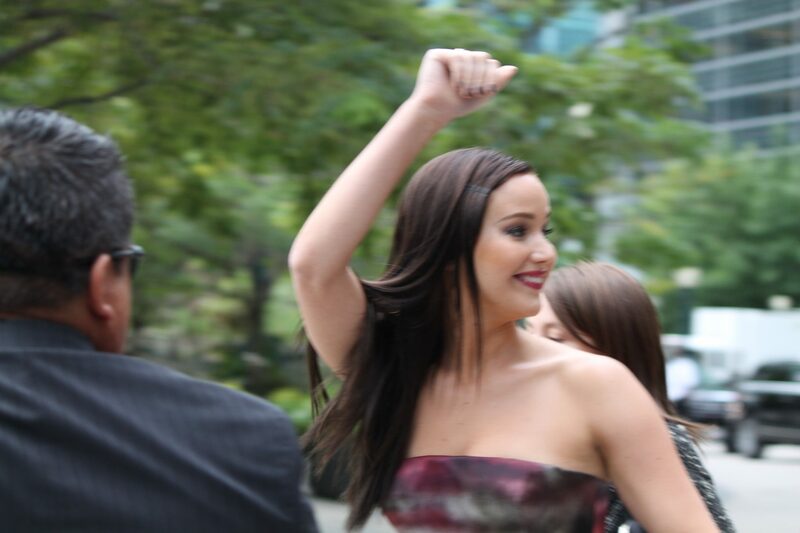 Thank you so much to Blackberry for this absolutely wonderful TIFF experience. I will talk about it for years to come! Now let’s enjoy the trailer to the 2012 Blackberry People’s Choice Award at the 2012 Toronto International Film Festival; Silver Lining Playbook.